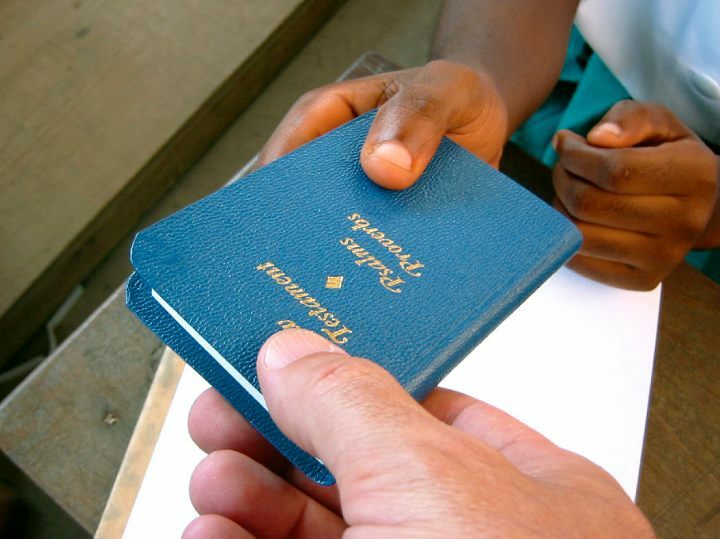 Each year hundreds of thousands of members of The Gideons International labor together in 196 countries with the goal of putting the word of God in people’s hands and hearts. 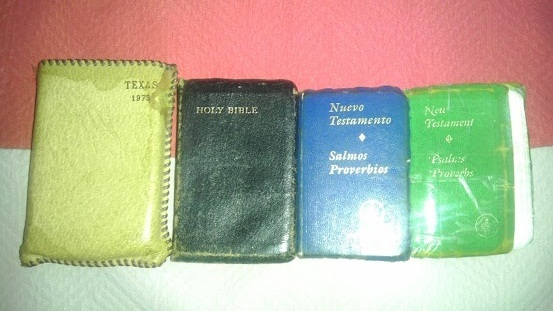 Last year alone, 84,632,342 Bibles were handed out. That’s approximately 1.5 million Bibles every week. Currently, The Gideons are on the verge of passing out their two billionth Bible! A good number of The Gideons are working this very moment on thousands of college campuses. One man they met as a college student was my father. He got a Bible but didn’t start reading it until the struggles came. Upon reading this passage he started seeking for others that he could seek God’s kingdom with. Just like Matthew says in the next chapter, seek and you will find, so he did. He found a group of Christian students on campus and the church. Another man who was helping the Gideons pass out Bibles during those years was my Grandfather in law, Robert Pratt (Grand Daddy). I appreciate men like him and owe my life to them. If it wasn’t for them I wouldn’t be here. I aspire to be like him and share God’s word for the rest of my life. My wife and I recently inherited a Bible with the Gideon cover on it from her grandparents (next to it are two of my Gideon Bibles). Inside were some notes that were taken by his wife, Ann Pratt. I really like this note because it goes further than most people’s definition of salvation – being saved from hell. If that was it then what’s the point of pursuing Christ today? Why not just pursue a career and family and the list goes on…This is the reason many people, especially young people, are off track to the final stage of salvation, glorification. I got saved when I was 5. I’ve had many ups and downs since then. There was a lot (and still is) that I need to be saved from. I need to be saved right now! The constant presence of the internet provides us with a constant need to be saved, and a way! I can blog about Jesus! Another great way to be saved is to call on the name of the Lord. If you need to be saved right now then call on the name of the Lord Jesus! I too have a great appreciation for Gideon’s. On a hitch hiking trip to Florida, I picked one up in a hotel and it changed my life. Thank you for your note. Thank you for sharing about the Gideon Bible and how it impacted your father’s life. Ultimately it was instrumental in your life. I too have a pocket Gideon Bible and I will read it when I have extra time. God’s Word is so precious and as we abide in His Word, we will be joined with His Spirit to enjoy Life in our spirit. The Lord sowed the seed widely in Matt 13 and some of it fell on good earth and brought forth fruit; thank Him for His continued sowing through the Gideons. Thank Him also for the words from your grandparents.